These days you can find all kinds of unique ingredients in jarred salsas. It's no longer just tomatoes, onions and jalapenos. Creative companies are now adding sweet fruit and a wide variety of peppers resulting in exciting new flavor combinations. 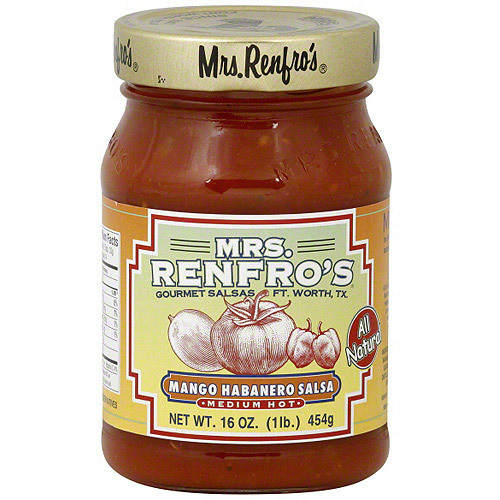 One of the leaders in the alternative salsa market is Mrs.. Renfro's. With 18 different gourmet salsas, few companies can match Mrs. Renfro's variety. Mrs. Renfro's lineup spans from the traditional to the exotic. 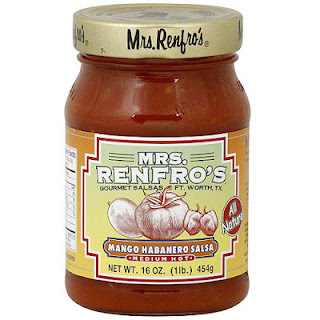 I've sampled a few of Mrs. Renfro's salsas, including Mango Habanero. 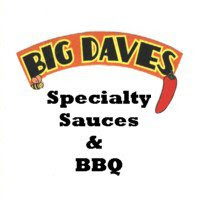 The combination of tropical mangoes and habanero peppers is pretty trendy right now in the sauce / salsa world. The sweet, mild mangoes act as a perfect foil for the scorching heat of the habaneros. Mrs. Renfro's Mango Habanero starts with a tomato base and adds both mango puree and chunks. The salsa is also sweetened with brown sugar and pineapple juice. The sweetness is contrasted with both jalapeno and habanero peppers. The salsa is a little sweet for my tastes. I think the sweetness limits its uses a bit. I could see it being a good compliment to grilled fish tacos, but it really doesn't work well with ground beef tacos/nachos. The heat level is also pretty substantial. It was a bit too hot for me to use as a dip with chips. Mrs. Renfro's Mango Habanero is not a bad salsa. For those who enjoy sweet fruit salsas, it could be a good choice. It just doesn't seem to find the same balance of sweet, savory and spicy elements that Mrs. Renfro's Peach Salsa. To check out Mrs. Renfro's entire lineup of salsas, take a look at their website. See how Mango Habanero Salsa rates on our "Product Reviews" page. 1 Response to "Mrs Renfro's Mango Habanero Salsa"
The salsa sounds great! Nice to find the article!